Bent Gate Mountaineering is not a mom and pop shop. Rather, they are a brother and sister shop that opened up its doors back in 1994. Many of their first customers have become lifelong friends, not to mention, climbing and skiing partners. Back in 1994, Greg, Kristi, and a childhood friend made up their employee roster. Today, their spouses Alex and Debra have joined in the management of the business and they have an employee list numbering almost fifty including the employees at Golden Bike Shop, just down the street. Bent Gate Mountaineering is a place that believes in Community and thrives on promoting fun and safety in the outdoors. They are a destination shop and carry many specialty brands that you can’t find just anywhere. They love to ski, which is obvious from their staff, their ski selection, their ski promotions and their demo program. They believe that it’s a whole lot easier to find a ski that you personally like when you get to try that ski out ahead of purchasing it. Telemark, Randonnee , Alpine or Splitboard . . . they love it all. 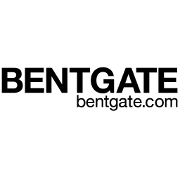 Free In-Store Pickup: If you’re looking for a secure place to ship your purchase on evo.com, or need additional service, local knowledge, or just a place to go talk about your favorite activities, then we’re proud to partner with Bent Gate Mountaineering, and know they’ll take care of you when you visit. If choosing to ship to Bent Gate Mountaineering, you will receive an email when your order is ready for pick up. Orders will be held for 30 days unless additional time is requested. When picking up orders, please bring your order number, and a photo ID.